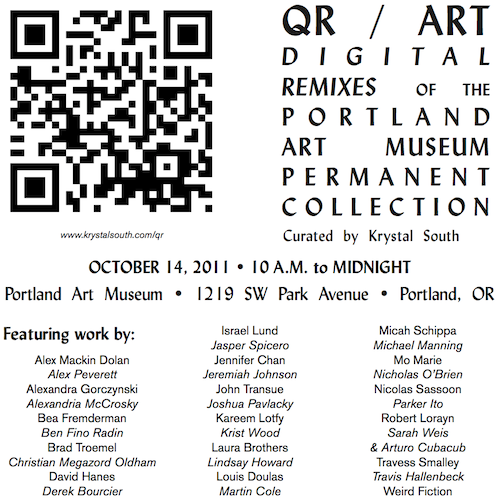 Overjoyed to present the work of 33 digital artists at the Portland Art Museum on October 14, 2011 as part of the Shine a Light one-night event. Coming in person? Bring your smartphone! 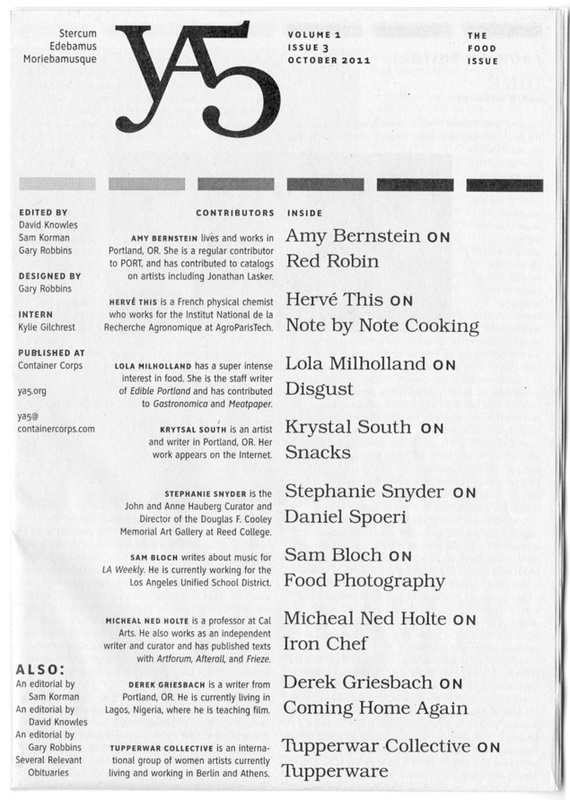 View the exhibition online. 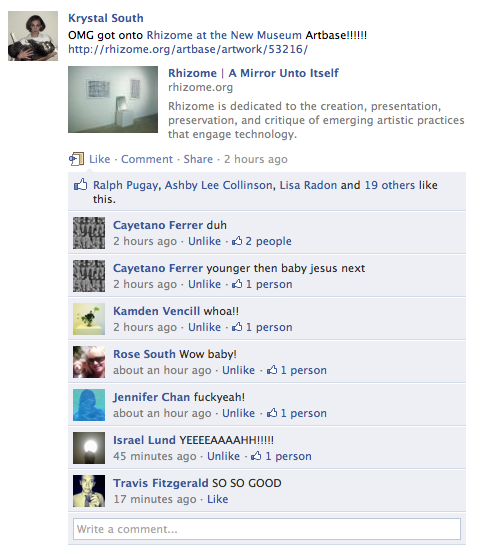 My work, A Mirror Unto Itself, has been accepted into the Rhizome Artbase.